I never saw the first John Wick. There were several reasons. Not a huge fan of Keanu Reeves. Also, the marketing campaign was eye rolling and cringeworthy. “John Wick: Don’t Set Him Off”. Blech. An example how a too clever marketing campaign can turn off an audience. Then I’d heard some decent buzz about it, so I’d put it on my list of “hey, maybe I should see that at some point”. It moved up my list after I heard the sequel was to be released early this year. Then I saw it on iTunes for only $6.99 and figured what the heck. I was blown away like so many of John Wick’s enemies. What a fabulously fun ride of a movie. Reeves didn’t have to do much other than shoot people, glare at the camera and grunt at the bad guys. That’s known as a win! So, a sequel? I’m in! There is an inherent apprehension I feel with sequels. Can they live up to the original? Will they find some new story element to explore while holding onto the original concept? Plenty of films don’t get that. The creators of JOHN WICK: CHAPTER 2 totally got it. The first movie was kind of nuts. The sequel ramps up the crazy. 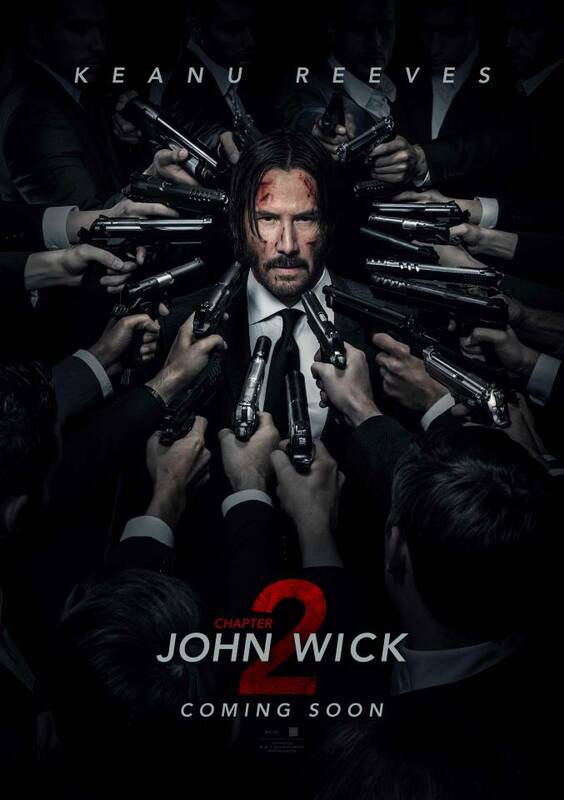 Wick is an assassin who in the first movie got out, but then was pulled back in when someone stole his beloved car and killed the puppy his late wife left him. He exacted brutal revenge and got out again. But this time there is a debt to pay and the chit-holder is in no mood to just let him out of it. Wick is dragged back into a world he desperately wants out of. His sense of duty and the fact that the guy who holds it over him just blew up his house leave him in a place he doesn’t want to be. This isn’t just crazy good set pieces. They are done with an attitude and a certain brutal esthetic. It is highly stylized but not hard to follow. Ian McShane is a treasure. His role as the keeper of the Continental and adviser to assassins. The movie is set up for a Chapter 3. Guess we’ll have to wait a couple of years for that, but I anticipate it being just a crazy good as this one.